Our faces are made up of hundreds of muscles which expand, contract or move in order to achieve various expressions. With time, and with the myriad emotions experienced by a human being across his or her life, these muscles work over-time, causing our skin to develop lines and wrinkles all over the face. Anti-wrinkle Fillers or Derma Fillers have emerged as the best solution to iron out wrinkles and lines from one’s face. These are protein-based substances that are injected into specific points on the face in a painless procedure that is done with local, or no anaesthesia even. We offer a wide range of derma fillers such as BOTOX, Restylane, Belotero, Juvederm and Radiesse among others, at highly optimum rates. The protein injections are given in small doses and begin to work on your facial muscles almost immediately. The procedure is painless, and for those with sensitive skin, we can apply an ice-pack or local anaesthesia. Once the treatment commences, you will be able to see the lines disappearing and your skin becoming smoother, within four months of treatment. Restylane was developed in Sweden in 1996 and since then, it has been very effective in helping millions of people across as many as 70 countries of the globe look younger. Restylane is based on hyaluronic acid which is a natural substance found in younger people. With age, natural hyaluronic acid diminishes in quantity and also transforms in structure, which is why lines and wrinkles start appearing on the face. 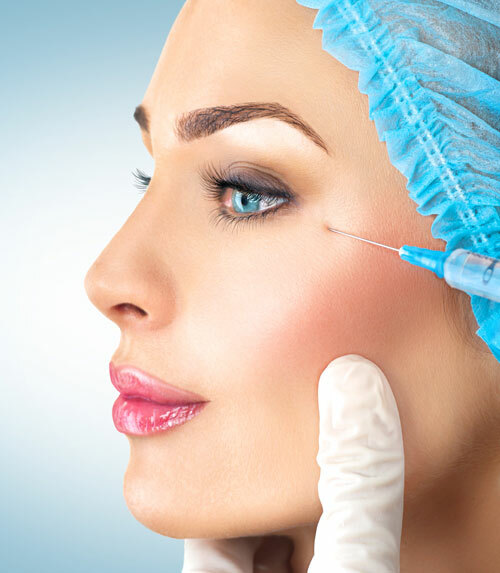 Restylane injections will trigger your body to produce more hyaluronic acid once again, which will smoothen out the lines and wrinkles. This will highlight your features better and make you look younger. Belotero works on your face in interesting ways. When injected into your face, it blends easily with all your facial tissues and muscles, adding volume to them. This will neatly adapt to your facial contours, highlighting them better, making your face look fuller and younger now. Belotero has been approved by both FDA and European regulators who have given it the CE mark. Juvederm is also based on hyaluronic acid and is a safe option to smoothen out wrinkles or lines, pump up lips and add volume to the face. It was approved by the FDA in 2006. Hyaluronic acid is a natural substance produced in the body. It can absorb 1000 times its weight in water, thereby adding volume and fullness to facial tissues. It also regulates the production of collagen, which has a direct impact on the quality of your skin, making it look younger and healthier. Juvederm is injected into the face in a painless procedure that does not require anaesthesia and starts producing results immediately. Patients have been delighted about the effect it has on their face, which can last up to 1 year. Radiesse is a safe substance that triggers the body to produce more collagen at all those locations in the face where it is injected. This adds volume to your facial tissues; highlights your features and smoothens out lines or wrinkles, making your face look fuller and younger now. The procedure is painless, and results last long, even after the treatment has been stopped.